It is good blogging practice to use <blockquote> tag into post, to represent source code, script, program or notes. 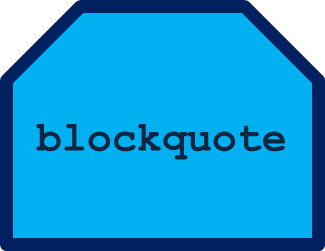 Blockquote tag specifies a section that is quoted from another source. Using the default HTML styling of most web browsers, it will indent the right and left margins both on the display and in printed form, but this may be overridden by Cascading Style Sheets (CSS). This is text within blockquote. Click again on blockquote sign. That's is you have successfully created blockquote text. Replace all CSS Code of all blockquote tags with following code and save your template!